The DIAM Bouchage range provides the best quality closures for each of your wines. 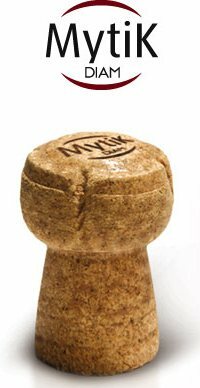 In respect of the environment and the work of the winemaker, Diam, Mytik Diam and Altop technological cork closures are the solution to meeting consumer expectations: the tradition of cork, consistency from one bottle to another and the guarantee of and sensorial neutrality. Discover our entire offering for still wines, sparkling wines and spirits, their permeability options, dimensions and marking: find the closure that best meets your requirements. TCA taint-free (below the limit of quantification of 0.3 ng/l) and many other molecules responsible for sensorial deviations. Different levels of permeability available in relation to the oxygen requirements of each wine. Steady progression on the bottling line and unsurpassed elastic recovery. Prevents leakage, seepage and capillary rise. For further information, download the brochure Diam, The Guardian of Aromas. Quality closure is ensured by the mechanical and organoleptic performances of Mytik Diam. It preserves the clarity of your wines and the delicacy of its bubbles throughout their development. Allows for regular progress along the disgorgement chain. Avoids disc separation as well as pegged corks. For further information, download the brochure Mytik, The Guardian of Aromas. Thanks to its outstanding mechanical properties and releasable TCA below 40 ng/l (in 40% ethanol solution), Altop Diam is the ideal product for conserving spirits. For a minimum order of 50,000 units, Diam Bouchage provides a comprehensive service: manufacture of cork closures, sourcing of capped corks, customization and assembly. For further information, download the brochure Altop, The Guardian of Aromas.